Partly cloudy. Low 37F. Winds W at 5 to 10 mph. "Blueberry Soup," a documentary by former Cayuga Community College student Eileen Jerrett, will be screened Dec. 5 at the Auburn Public Theater. 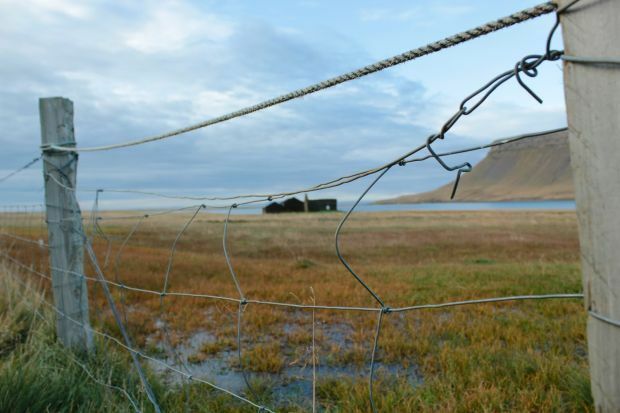 Scenery from Iceland is displayed in the film "Blueberry Soup," by former Auburn resident Eileen Jerrett. The film is screening Dec. 5 at Auburn Public Theater. Scenery from Iceland is displayed in the film "Blueberry Soup" by former Auburn resident Eileen Jerrett. The film is screening Dec. 5 at Auburn Public Theater. How does a CCC grad wind up making a documentary about the Icelandic constitution? If you had the chance to build your own country, what would it look like? For Eileen Jerrett, that question led to a life-changing experience that inspired her to spend the last five years searching for an answer in a place more than 2,600 miles away from her hometown: Iceland. Jerrett, a former Auburnian who grew up in Syracuse, has dedicated her life and career to making documentary films that she says are meant to inspire a more creative way of looking at some of life's most important issues. "The main goal is to set out and find alternative ways of looking at really chaotic situations," said Jerrett, who now lives in Seattle. "I wanted to create media that made people feel empowered and inspired, that showed them the creative parts of life." Jerrett recently finished her latest film, titled "Blueberry Soup," which documents the rewriting of the Icelandic constitution. She'll soon return to Auburn for an educational screening prior to the film's official release. The screening tour she put together includes more than 50 cities she hopes to travel to in the coming months, and while Auburn may not be the typical big-city market in which films are commonly released, Jerrett said the choice to add it to her list of stops was a no-brainer. Jerrett's background in film production started at Cayuga Community College, where she received dual degrees in film and telecommunications before moving to Toronto to pursue her bachelor's in film production. Now, seven films into her career, she is returning to Auburn for the first time in many years to share with her native community the largest, most extensive piece of work she said she has ever created. In keeping with the theme of the other documentaries she has produced, Jerrett said the idea to follow the rebuilding of Iceland's government caught her eye after an economic collapse in 2008 that led the country to begin taking a closer look at the way its people wanted the nation to be structured. Rather than having policymakers and politicians completely rework the laws of the country, Iceland's leaders formed a group of common, everyday people who were recruited to help bring insight to what the public wanted to see in its government. "I believe it's an interesting story because what they did with the constitution is decide, 'We need people who are not bankers, not politicians, not lawyers,'" Jerrett said. "Instead, they got 25 individuals who are completely representative of society — teachers, clergy members, activists, radio hosts. They were diverse, but could speak up for the different interests in society." Throughout the course of the five-year production, Jerrett visited Iceland three times, each time for about a month, with a crew of just two people: herself and a cinematographer. As she began her research and talked to more than 40 people from around the country, she said she was met with some initial adversity because of the negative way mainstream media outlets had inaccurately portrayed the situation so far. The topic of the economic and governmental problems eventually became a very sensitive issue among Iceland's citizens, according to Jerrett, and she said many people were hesitant to speak with her at first. She approached the subject by encouraging locals to think of the positives of the situation, but often received "eye rolls" and even had a cab driver tell her to go back home, she said. "It made my job difficult, and I was often seen as another reporter coming in to tell the story I wanted to tell, and it left a bad taste in anyone's mouth," Jerrett said. "Some days it was harder than others to keep going with the story, but the receptiveness to the idea at home was overwhelming and that energy really fed me and helped me understand there was something under the covers that people weren't talking about and that we needed to know." As she persevered, Jerrett said she began to gain more ground with the locals and eventually started to unfurl their real feelings on the economic collapse. She said she placed a great deal of stress on not misinforming the public and not putting her own view into the story. Even the title Jerrett chose for the film was part of her continued effort to make Icelanders feel more comfortable about opening up to her. 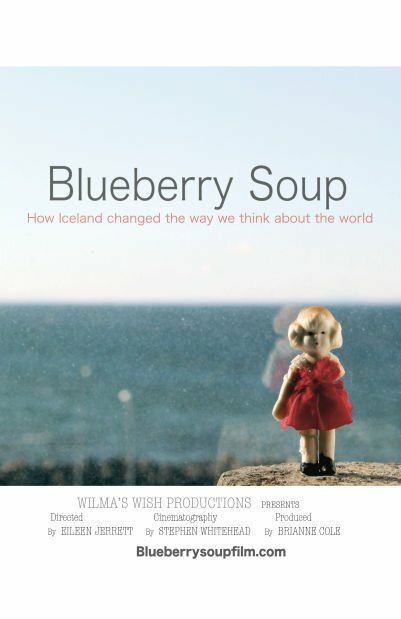 Blueberry soup, she explained, is a traditional Icelandic comfort food and being used as the title was intended to give off a feeling of safeness about the film she was asking people to participate in. "I wanted something that embodied the community (and) the uniqueness of the situation, and made people feel comfortable going into it," Jerrett said. "Something they didn't have to be scared and traumatized by." Jerrett's feature-length documentary takes viewers through the entire process of writing a new constitution in Iceland, right up to the finish that she said many people, including herself, were in awe to see come to a successful conclusion. She recently kicked off her screening tour at Harvard University in October and has since visited five other schools, which she said she is targeting in order to have discussions about the film. The Dec. 5 screening at Auburn Public Theater will be Jerrett's first visit back to the city in "a long time," but she said she never doubted that Auburn would be one of her many stops. Jerrett still thinks very highly of CCC's "phenomenal" telecommunications department, and said that without Auburn and the influence it had on her, she wouldn't be where she is today. "Auburn is extremely important to me — it's how I started my media career," Jerrett said. "I owe a great deal to CCC because it gave me the foundation to be able to start this process, and I wanted to come back home and show the community something that has meant a great deal to me, and to talk about what it means to them." Staff writer Kelsey Durham can be reached at (315) 282-2237 or kelsey.durham@lee.net. Follow her on Twitter @CitizenDurham. To view the trailer for "Blueberry Soup," visit vimeo.com/72931601.